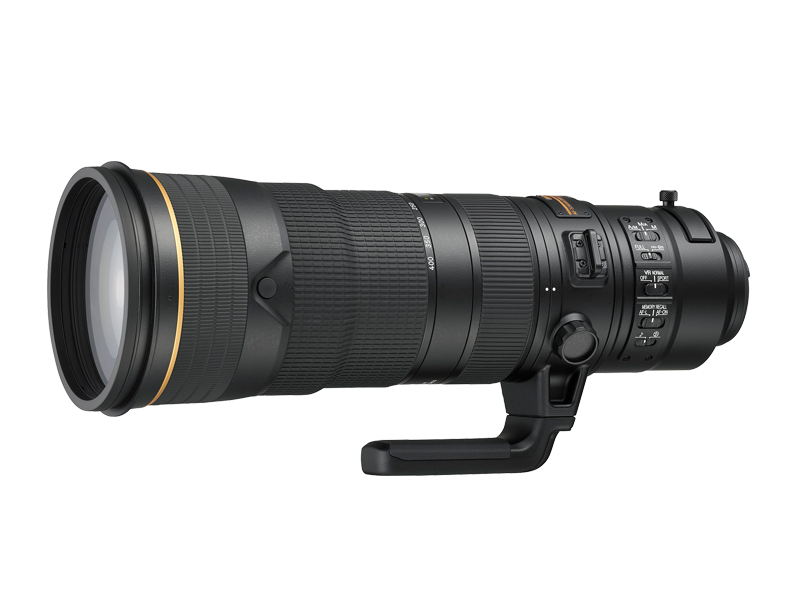 Super-telephoto zoom lens covering from 180 mm to 400 mm* (252 mm to 560 mm when using the built-in teleconverter) enables high agility in shooting sports and wildlife photography. The built-in 1.4x teleconverter can be easily activated with a switch without changing the shooting posture. Parts and controls are all designed to ensure superior operability for more comfortable shooting. Employing a fluorite lens element and magnesium alloy achieves a light weight of approx. 3,500 g.
Superior dust-/drip-resistant structure and Nikon's fluorine coat for enhanced reliability. Optical performance realized with one fluorite lens element and eight ED glass elements draws out the full potential of high-megapixel digital cameras. Advanced optical system and Nano Crystal Coat effectively minimize ghost and flare effects. Evolved Vibration Reduction (VR) that provides an effect equivalent to a shutter speed 4.0 stops* faster regardless of built-in teleconverter usage also employs SPORT mode that is particularly effective when shooting quickly and erratically moving subjects. Further improved AF system realizes superior subject-acquisition performance.